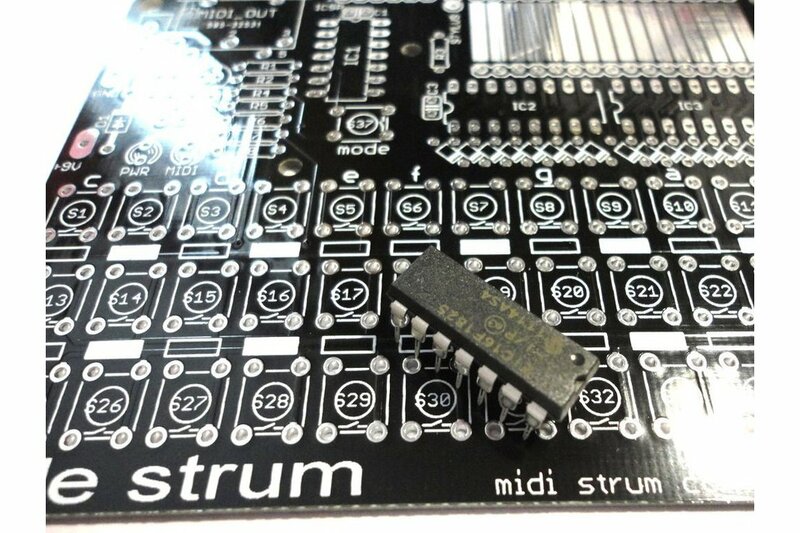 Just the PCB and programmed MCU for LE STRUM. You source the basics. If your intention is to to do this from the get-go then there is a lot of stuff in the basic LE STRUM kit that you just don't need (switches, sockets, legs etc). 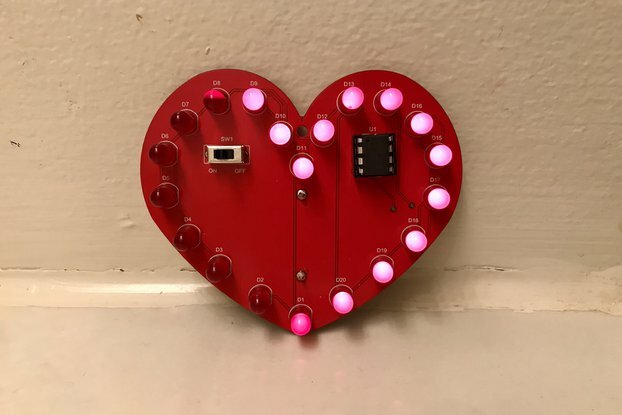 In fact, all you really need from me is the PCB and the programmed PIC16F1825 microcontroller. The other parts are pretty standard and depending on your intended design you may not need all of them anyway. I like to solder. I like to save money. The kit was very easy to build and finally worked perfectly. The documentation is however very sparse in that manner that i did not even realized how it works. After digging it finally found out. Great PCB. I really like the white silkscreen. Very good documentation and also support. Thanks for this great instrument. Even though I've built similar controllers myself, I got this for playing around with and hacking. Having the majority of the parts already on hand, I got the Hack-it-yourself model and went to work on it. Documentation is really good, and I had no problem figuring out how to leave out the voltage regulator parts to run it from a USB jack directly instead. I also fitted the PCB from one of those £3 MIDI interface cables off eBay and a micro USB jack onto the back of the Le Strum. So now I've got MIDI and power over USB instead of the 5-pin DIN MIDI and battery. For keys I chose a longer stem kind of tact switch combined with switch caps in white and black. Also put oak wood legs/sides on it and made a matching wooden stylus. And of course it is very playable. Really great little thing! Easy to assemble and good clear documentation. I connected up to my Roland SC-88 and was easily able to generate plenty of cool and rich chord combinations. 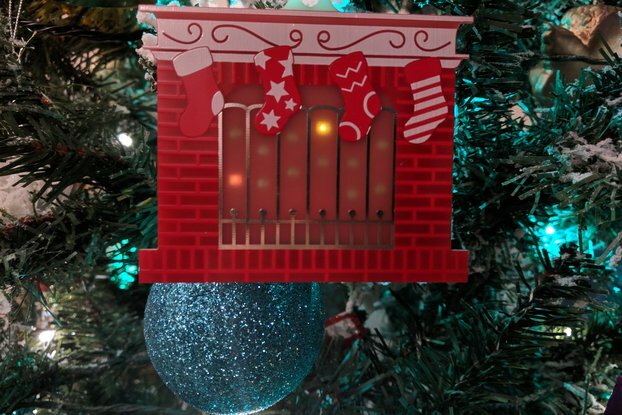 Seller is an overall amazing dude, and he also opensourced his designes on line. 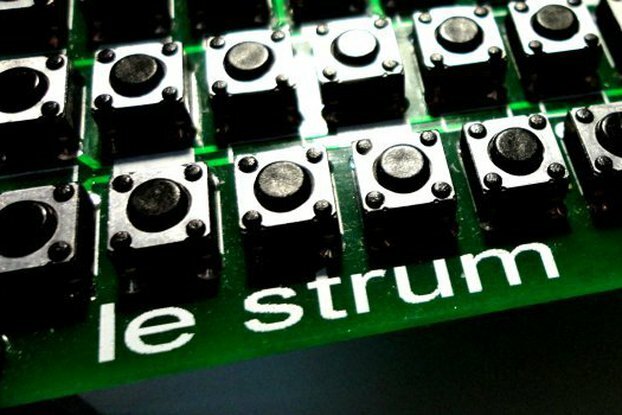 The Le Strum is a very completely designed omnichord type midi controller. An excellent and unique piece of kit! 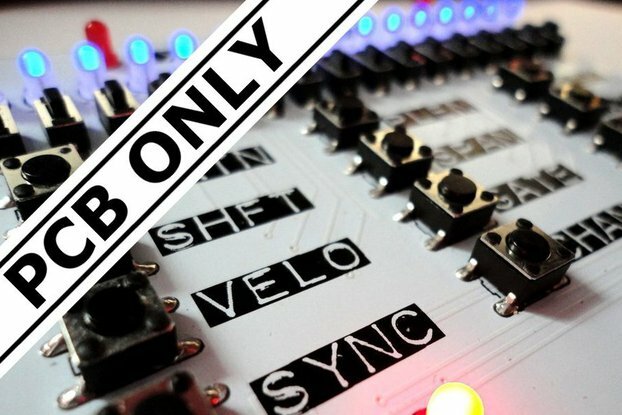 I've always been interested in different ways of controlling my synths and when I saw Le Strum I knew I wanted one. Not having any soldering experience I bought a soldering kit and taught myself to solder. After doing a few practice kits I started on Le Strum. By following the excellent and easy to follow instructions I was able to complete Le Strum without too much difficulty (although I did forget the Mode button and had to unsolder and resolver the battery holder to get it on). Powered up, Le strum is a lot of fun to play and gives you different ways of playing your synths and other musical devices. I bought the PCB + PIC as I was so impressed by Le Strum and how others have modded it, I've decided to build my own Le Strum guitar (similar to the Guitarp). For the price and with next day delivery you can't go wrong. So wether it's the PCB + PIC or the full kit I'd definitely recommend this to anyone who is interested in it or just interested in controlling your gear in different ways. It's an awesome bit of kit and a lot of fun to build and play!